Pero Jelenic is a 75-year-old big game hunter who was shot dead while hunting. The old man was killed in what has been described as a freak accident while he was out hunting. According to Metro UK, Pero Jelenic died in South Africa while aiming at a lion, according to reports, but a stray bullet hit and killed him. According to local reports he had shot another lion dead before the accident happened while he was taking aim at a second victim. 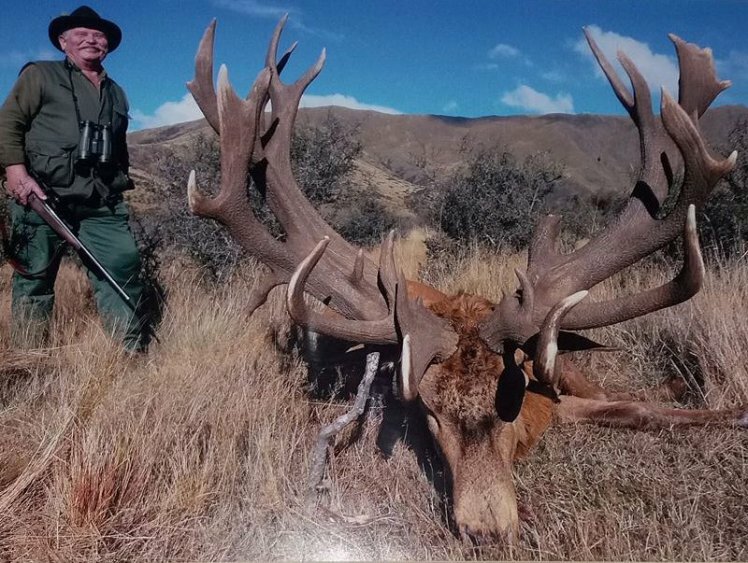 He was in the North West province and friend Slavko Pernar said he wanted to get a lion trophy after hunting ‘everything that could be hunted in Europe’. Police are investigating who shot Jelenic, who is from Croatia, however they have said that they ‘do not suspect any foul play’. He told them that he was in South Africa because he wanted to ‘complete his extensive trophy collection’. He added: ‘For the past year he had leased his hotel to dedicate himself to the things he planned to accomplish and enjoy a deserved retirement. Police spokesman Sabata Mokgwabone told MailOnline: ‘The injured man was air-lifted to the nearby hospital by helicopter, but doctors were unable to save the man’s life. ‘A case of culpable homicide has been opened, and police are also investigating charges of illegal possession of a firearm and ammunition,’ Brigadier Mokgwabone added.